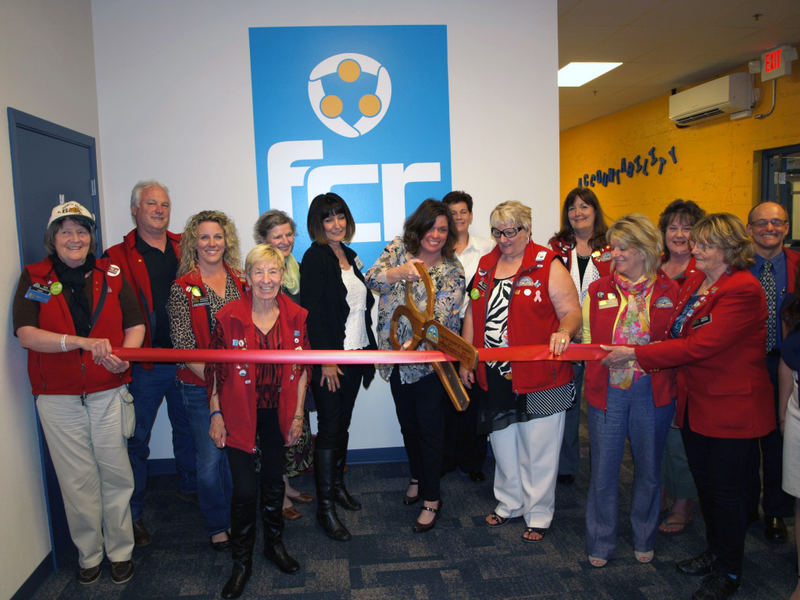 FCR, the premier provider of outsourced live agent call center and business process solutions, celebrated the expansion of its Coos Bay Call Center in a ribbon cutting ceremony with the Oregon Bay Area Chamber of Commerce on Thursday afternoon. The event was held at FCR’s Call Center at 161 Anderson Avenue in downtown Coos Bay. The initial expansion of FCR’s existing space into the adjacent building once occupied by JC Penney was completed in the fall of 2014, and the remodeling project of the entire facility was just recently completed. The expansion added an additional 10,000 square feet of space to accommodate the continued growth of the company. FCR used the occasion to conduct tours of its center for members of the Chamber, and to showcase the company’s culture and dedication to local communities. Those attending the event also had the opportunity to meet members of FCR’s leadership team and the many colleagues who have selected FCR as a Top Workplace in Oregon for three consecutive years. The company currently employs over 260 colleagues at its Coos Bay center. Katheryn Carnahan, COO of FCR, and members of the Oregon Bay Area Chamber of Commerce and FCR leadership team, cut the ceremonial ribbon to celebrate the expansion of the company’s Coos Bay call center.